Home / TALK OF THE TOWN / "Star Wars Episode VII: The Force Awakens" Will Be Showing In the Philippines in a Much Earlier Date! "Star Wars Episode VII: The Force Awakens" Will Be Showing In the Philippines in a Much Earlier Date! Lucasfilm's “Star Wars: The Force Awakens,” the seventh installment in the beloved sci-fi adventure franchise, helmed by director J.J. Abrams, will open across the Philippines on Thursday, December 17, 2015, a day earlier for the international and regional schedule of released of the film. This report was confirmed when it was announced today by a spokesman of Walt Disney Studios Motion Pictures. The Philippine opening is one day ahead of most territories in the “galaxy,” including the US, where the film will debut on a Friday, December. 18, Philippine timezone. The film is produced by Kathleen Kennedy, J.J. Abrams, and Bryan Burk, while John Williams returns as the composer. “Star Wars: The Force Awakens” movie theme song. The said film is the seventh installment episode in the Star Wars Saga. 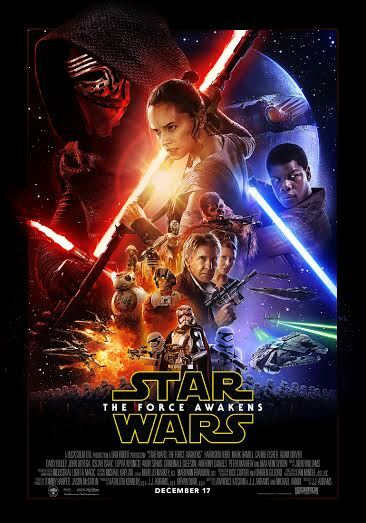 “Star Wars: The Force Awakens” is distributed by Walt Disney Studios Motion Pictures through Columbia Pictures. Meanwhile, watch the newly released final trailer of “Star Wars: The Force Awakens” below.“Star Wars: The Force Awakens” is from a screenplay by Lawrence Kasdan and J.J. Abrams, and features an ensemble of cast including actors John Boyega, Daisy Ridley, Adam Driver, Oscar Isaac, Andy Serkis, Academy Award winner Lupita Nyong’o, Gwendoline Christie, Crystal Clarke, Pip Andersen, Domhnall Gleeson, and Max von Sydow. They will join the original stars of the saga, Harrison Ford, Carrie Fisher, Mark Hamill, Anthony Daniels, Peter Mayhew, and Kenny Baker. Enjoy!